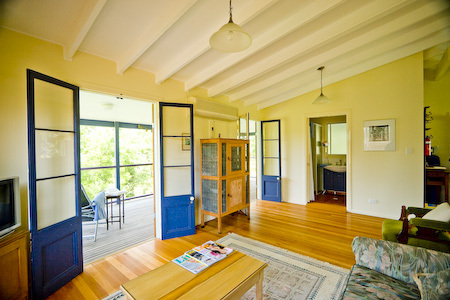 Idyllic holiday accommodation in Bellingen. 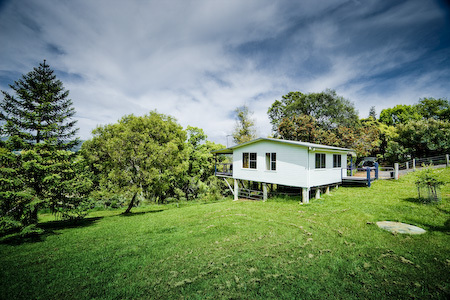 Leave your worries behind and soak up the unique atmosphere of the mid-north coast hinterland. Overlooking the river with plenty of space and quiet, relaxing surroundings, and just a couple of minutes from town. You'll find the cottage open, airy and light-filled with comfortable, relaxing decor. A fully equipped kitchen makes self-catering stress-free. 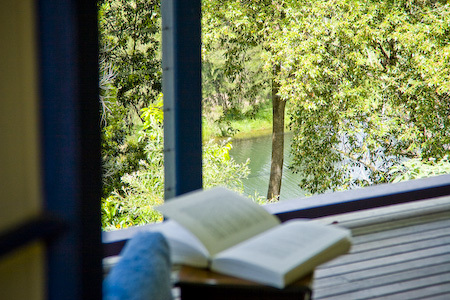 Relax — read a book, listen to the birds, listen to your music, visit one of the many cafes and restaurants in Bellingen.